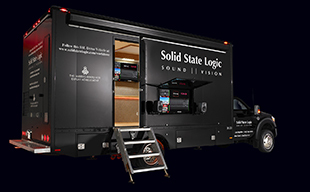 ANAHEIM, CA  Solid State Logic, the worlds leading manufacturer of professional analogue and digital consoles, is pleased to introduce the new X-Rack Stereo Dynamics Module at Winter NAMM 2011 (Booth 6904, Hall A). The new X-Rack Module delivers the same sonic signature as the channel strip processing of SSLs large format Duality console and the mono X-Rack SuperAnalogue Dynamics Module in a stereo configuration. The module is intended for stereo tracking or stem mixing and further extends the availability of SSLs sonic heritage to studios of all sizes. The X-Rack Stereo Dynamics Module is a stereo version of the powerful SuperAnalogue Dynamics Module. Featuring Compressor/Limiter and Expander/Gate circuits, the Stereo Dynamics Module provides the familiar SSL level control tools for both recording and mixing applications. The Stereo Dynamics Module will be available from February 2011 priced: $1,159; £699; 839.50 . Based on SuperAnalogue electronics from SSLs XL 9000 K Series console, X-Rack is a modular rack system with Total Recall that delivers the classic SSL sound in a uniquely versatile form. Each X-Rack chassis holds up to eight modules in any configuration; with the introduction of the Stereo Dynamics Module, twelve different modules are offered.